Additional patients who might benefit include those with a high energy mechanism and intoxication, inability to communicate, or distracting injury. Note that these leave a lot to the imagination! Reference: EMS spinal precautions and the use of the long backboard. Prehosp Emerg Care ePub March 4, 2013. Jehovah’s Witnesses are the most common group encounted in the US that refuse transfusion. There are more than 20 million Witnesses worldwide, with over 7 million actively preaching. It is a Christian denomination that originated in Pennsylvania during the 1870s. Witnesses beleive that the bible prohibits taking any blood products, including red cells, white cells, platelets or plasma. It also includes the use of any dialysis or pump equipment that must be primed with blood. This is based on the belief that life is a gift from God and that it should not be sustained by receiving blood products. The status of certain prepared fractions such as albumin, factor concentrates, blood substitutes derived from hemoglobin, and albumin is not clear, and the majority of Witnesses will accept these products. Cell saver techniques may be acceptable if the shed blood is not stored but is immediately reinfused. 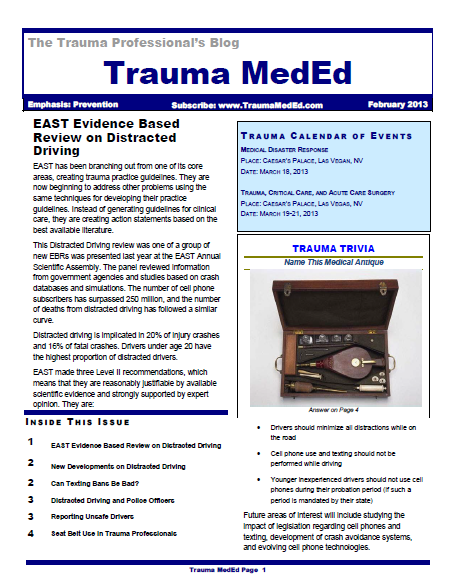 Aggressively reduce blood loss in the ED. We are not always as fastidious as we should be because of the universal availabilty of blood products. Use direct pressure or direct suture ligation for external bleeding. Splint to reduce fracture bleeding. 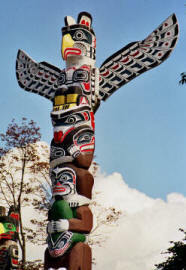 A totem pole is a sculpture that usually depicts a hierarchy of people or concepts. In patient care of any type, there are individuals who are closely involved in patient care (first responders, first year residents/registrars, nurses) and there are those who are a bit further removed (supervisors, nurse managers, attending physicians/consultants). The first group are those usually thought to be nearer the bottom of the totem pole, the latter closer to the top. But the thing is, those nearer the bottom have valuable experience and insight into what is happening to their patient clinically. And they usually know what needs to be done if the patient is in trouble. Unfortunately, they may have to get authorization (orders) from others higher on the totem pole, or have those individuals actually see the patient, to deal with a problem. Too often, I hear that a patient problem has developed and, as expected, their nurse calls the next level up the totem pole for instructions (intern/first year registrar). That person doesn’t give them the desired response, or refuses to come see the patient. The nurse frets and tries to do the best he or she can given the circumstances. They wait a bit. They call again. Still no joy. Many times, there is an undesirable patient outcome when this happens. There’s a lot of pressure to avoid calling the chief resident or attending physician. But this reluctance cannot be allowed to happen! Remember, the whole reason we are here is to make sure our patients have the best outcomes possible! This is far more important than not ruffling the feathers of the higher-ups. Bottom line: If you have a patient who has a problem, you probably know what needs to be done to fix it. If you have to call someone to get orders to do it, they should either issue the order or provide a good explanation as to why they want to do something else. If they don’t, go up the next level of the totem pole immediately to get it. Don’t be shy about going quickly to the top. Remember, your patient and their well-being are counting on you! And by the way, the image at the bottom of a totem pole is thought to be the most important. It’s the largest (because the base of a tree is bigger) and it’s at eye level where everyone can see it. A Million Ways To Die?